This award is given by one blogger to another and requires answering a series of 10 questions designated by the giver. They can be about anything, but most seem to focus on the craft of writing and blogging (big surprise). A more complete origin can be found here at WordingWell, plus sets of alternate rules. Jazzfeathers was asked all kinds of things for her award. Her answers were very interesting. My favorite response was the one about her “favorite place,” where she has a lovely description of the sea at night. You can read her full post here. No matter what I’m writing, the best part for me is the sensation I get when everything just “clicks” together in a piece and it just works. Probably editing, which is odd because I enjoy editing other people’s work and I’m currently earning a certificate for it. It’s not that I think my work is perfect and doesn’t to be improved—far from it!—but I’m always afraid that I won’t be able to really fix my mistakes, or worse yet change it and somehow ruin it completely. I’m also not good at judging if it’s “better” or not after I’ve spent time revising a passage. That’s my problem with writing fiction, anyway. I don’t have that problem when editing essays and articles, however. Go figure. Well, technically that’s something I already do (I work full time and write on the side, plus do the occasional illustration, book cover, or graphic design job). If I could have any other kind of job, though, I’ve always wanted to work in a museum in some capacity, ideally in exhibit design. Being a legitimate freelance graphic designer wouldn’t be a bad gig, either. It’d be nice to have that kind of art/writing/work balance in my life again. 4) Blogging is nearly as good as writing stories. Do you agree? 5) What do you like the most about the place where you live? I like the fact that even though I live in the suburbs, there’s still a fair amount of nature around my house. There are lots of trees, we get deer in our yard a lot, and there’s an operational farm just a few blocks from my house with cows that I can go pet and draw. We’ve got some nice forest preserves nearby too, which I also enjoy—and we’ve got The Grove nearby too, which is pretty neat. 6) What do you like the least about the place where you live? Probably the fact that I have to drive practically everywhere. It can be terribly inconvenient at times, never mind the cost of gas and the environmental damage from same. 7) Where else would you like to live? 8) Your book is extremely successful and you earn a lot of money. (If you’re not a writer, you can still win or otherwise earn a lot of money) What do you do with it? Well, honestly I’d probably be a bit selfish and take care of expenses for myself and my family first, put some money aside for stuff like grad school, stuff like that. I’d also love to be able to devote myself to creating full time and not have a traditional job. Other than that, I’d love to give gifts to friends and family. The rest would be donated to various wildlife funds, particularly wolf conservation. I love wolves. 9) If you were a fantasy creature, what would you be? 10) What is one thing you would try to fit in to your daily routine to improve your quality of life? I’d really like to start drawing again every day. I used to draw quite a lot, but in the past couple of years I do so rarely. I really miss making art consistently—plus my skills are getting rusty! Even if no one saw my art, I think it’d improve my quality of life tremendously to have that sort of creative outlet again. Lately I’ve really been enjoying David Lawlor’s WordPress blog History With a Twist. His website is chock full of awesome stories about little oddities within history (fun stuff like Tirpitz, the POW pig of WWI, or the team of reindeer who helped beat the Nazis, or when that molasses factory exploded in Boston in 1919). He also writes about those he calls “bit players”: little-known historical figures who’ve left tiny weird threads in the great web of history. If you’re looking for a new history blog to read, or just enjoy well-written material, you should definitely check him out! What’s your favorite historical period and why? Which historical period do you find the least interesting, and why? If you could choose to live through any historical period, which one would it be and why? What historical period would you prefer to never step foot in, and why? What’s your favorite historical subject to READ about, and why? If you write about history, what’s your favorite subject to write about and why? They say those who do not learn from history are doomed to repeat it. What historical mistakes do you see humanity repeating in the next 100 years? Once you are nominated, make a post that thanks the person who nominated you and links back to their article. 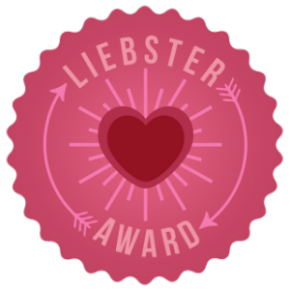 Include the Liebster Award sticker in your post. Nominate 7 to 10 other bloggers who you feel are worthy of this award. Let them know they have been nominated by commenting on one of their posts. You can also nominate the person who nominated you. Answer the 10 questions asked to you by the person who nominated you. Make 10 questions of your own for your nominees. All of the nominees are free to accept or reject the nomination. This entry was posted in blog award and tagged blogging award, Liebster award. Bookmark the permalink. 3 Responses to The Liebster Award! Enjoyed your answers a lot. And hey, I didn’t imagine we have so many things in common! So you used to daw. And now you don’t as often as you woudl like., And you would like to go back drawign every day. I love dragons too, even if I generally love werevolves more (I’m always been fascinated with the mixing of human and animal).